I spent two days this week at the 18s and 16s Midwest Closed in Indianapolis, one of the biggest tournaments of the year in the USTA section where I live. Two Michigan boys--Andrew Zhang and 14-year-old Ozan Colak--took the titles, with Chicago's Kiley Rabjohns and Indianapolis's Ellie Pittman claiming the girls singles titles. My coverage of the finals is available now at the Tennis Recruiting Network. The 12s and 14s divisions of the Midwest Closed are played in the Lansing Michigan area. The results of the singles finals are below, with the complete draws available at the TennisLink site. The singles finals of the ITF Grade 4 International Grass Courts were played today at the Merion Cricket Club in Philadelphia, with Anika Yarlagadda and Romania's Sebastian Gima winning the titles. The third-seeded Yarlagadda, a rising senior who committed to North Carolina earlier this year, defeated No. 4 seed Nicole Hammond 7-6(10), 7-5 for her second ITF singles title, with the previous one coming in April. Gima, the No. 2 seed, defeated unseeded Joshua Lapadat of Canada 7-6(5), 6-3. The 16-year-old Gima has now won four ITF tournaments this month, two Grade 5s and two Grade 4s, with the three previous on European clay. Adam Neff and Eliot Spizzirri, the No. 3 seeds, won the boys doubles title, beating unseeded Jeremie Casabon and Jeffrey Fradkin 6-3, 6-1 in the final. No. 2 seeds Kailey Evans and Robin Montgomery won the girls doubles title, beating Isabella Barrera Aguirre and Italy's Rachele Rimondini 6-4, 3-6, 10-5 in the final. At the Grade 2 this week in Germany, unseeded Ronan Jachuck reached the singles final, falling to unseeded Cezar Cretu of Romania 6-3, 6-1 in the championship match. Will Grant and Nathan Han, the No. 3 seeds, lost in the doubles final to unseeded Fynn Kuenkler and Justin Schlageter of Germany 3-6, 6-0, 10-8. Another Grade 2, this one in the Czech Republic, saw Tomas Kopczynski and Mark Mandlik, the No. 4 seeds, reach the doubles final. They lost to No. 3 seeds Nicholas David Ionel of Romania and Lilian Marmousez of France 2-6, 6-2, 10-8 in the championship match. Mandlik's sister Elli, who had played both Grade 1s in Germany the last two weeks, making a final and a semifinal, moved up to the Pro Circuit this week. She reached the semifinals of the $15,000 tournament in Romania before falling 6-1, 6-2 to No. 2 seed Miriam Bulgaru of Romania today. The ITF Grade 5 in Cuba produced three US championships. Sara Seivane Torres won the singles and doubles titles and Preston Brown won the boys doubles title. Brown and Toi Kobayashi of Japan, the No. 1 seeds, defeated the Mexican team of Rodrigo Mendoza Valverde and Santiago Perez Casamayor 6-3, 6-0 in the final. No. 3 seed Sara Seivane Torres, 15, won her first ITF singles title with a 6-1, 6-0 win over No. 5 seed Kristen Borland of Canada in the final. In the doubles, Seivane Torres and Fatima Gutierrez Martinez of Mexico, who were unseeded, beat No. 4 seeds Borland and Sofia Kostirko of Canada 6-7(4), 7-6(7), 11-9 for the title. Results from the Grade 4 this week in Aruba have yet to be posted, but Americans are in all four finals. The draws are out for the ITF Grade 1 in Roehampton, with 11 US girls and nine US boys warming up for Wimbledon in this week's only other major grass court event. Govind Nanda qualified, joining Trey Hilderbrand, Tristan Boyer, Drew Baird, Emilio Nava, Brandon Nakashima, Tyler Zink, Cannon Kingsley and Sebastian Korda. Korda, the Australian Open boys champion, is seeded behind Chun Hsin Tseng of Taiwan, the French Open boys champion. Three of the last five girls slam winners are in the draw: 2017 French Open champion Whitney Osuigwe, the top seed, No. 2 seed En Shuo Liang of Taiwan, the 2018 Australian Open champion and No. 3 seed Coco Gauff, the 2018 French Open champion. Other US girls in the draw are: Natasha Subhash, Dalayna Hewitt, Gabby Price, Katie Volynets, Caty McNally, Peyton Stearns, Alexa Noel, Lea Ma and Hurricane Tyra Black. All first round matches are scheduled for Sunday. 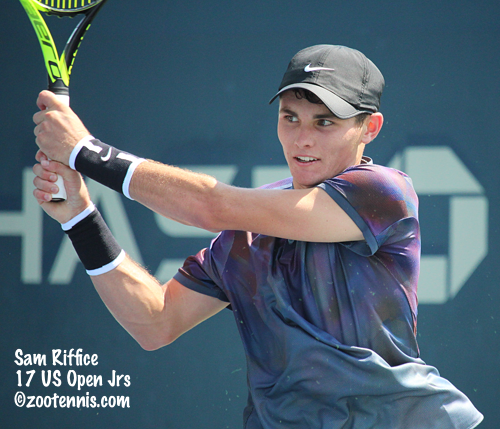 Nineteen-year-old Sam Riffice has reached his third career Futures final and his first at the $25,000 level with a 6-0, 6-3 win today in Tulsa over Emil Reinberg. Riffice will face No. 7 seed Marc-Andrea Huesler of Switzerland, who won his fourth straight three-setter against an American opponent when he beat Martin Redlicki(UCLA) 6-1, 5-7, 6-4. Reinberg did pick up a victory today, with the Georgia rising senior winning the doubles title. Reinberg and Sasha Gozun(South Florida) beat Trevor Johnson(TCU) and Alexander Cozbinov(UNLV) of Moldova 7-6(6), 6-3 in the final between unseeded teams. At the $25,000 Futures in British Columbia, top seed JC Aragone(Virginia) came up with 12 aces to defeat UNC rising sophomore Benjamin Sigouin of Canada 6-1, 6-7(1), 6-4 to reach the final, his fourth in Futures competition. He will play 19-year-old North Carolina State rising junior Alexis Galarneau, a wild card, who advanced to his first Futures final when No. 2 seed Steven Diez of Canada retired in the third set, trailing 2-6, 6-2, 2-0. Aragone's former Virginia teammate Thai Kwiatkowski won the doubles title last night, partnering with North Florida's Julian Bradley of Ireland. The No. 2 seeds defeated unseeded Charlie Emhardt(Valpariso) and Sam Shropshire(Northwestern) 7-6(5), 7-5 in the final. The Wimbledon draws for singles and doubles were revealed today, with 16 US women and 14 US men opening play beginning Monday. 2016 Kalamazoo 18s champion Michael Mmoh, who lost in the final round of qualifying, received a main draw spot as a lucky loser, joining Bradley Klahn and Christian Harrison, who qualified yesterday. Claire Liu was the only US woman to get through qualifying and as of today, no lucky losers have been needed in the women's draw. Although the schedule won't be out until Sunday, word is that the men's top half and the women's bottom half will play Monday, the men's bottom half and women's top half will play Tuesday. Below are the singles first round matches for American players, all in all pretty good draws, excepting Collins, Sandgren and Lepchenko, with the added plus of no Americans playing each other. The women's singles draw is here; the men's singles draw is here. The US girls earned another sweep today at the Maureen Connolly Trophy which features matches between US and British juniors at the WTA event in Eastbourne. After going 6-0 yesterday, winning four singles and both doubles, the US girls continued their dominance today, again blanking Great Britain. I had not seen Francesca Jones's name in yesterday's results, but she competed today, with Alexa Noel claiming a decisive victory over one of Great Britain's top juniors. The semifinals are set at the $25,000 Futures in Tulsa, with three Americans advancing: Sam Riffice, Martin Redlicki and Emil Reinberg. Riffice, the rising freshman at Florida, defeated one of the best college players of the past four years, Ohio State's Mikael Torpegaard, 7-5, 6-1 in today's quarterfinals. He will play Georgia rising senior Emil Reinberg, who defeated Georgia rising freshman Trent Bryde 7-5, 6-2. Redlicki, a two-time NCAA doubles champion at UCLA, won another all-collegiate battle, beating Ohio State rising junior JJ Wolf 7-5, 7-6(6). Redlicki will face No. 7 seed Marc-Andrea Huesler of Switzerland, who beat recent TCU grad Trevor Johnson 3-6, 7-6(5), 6-4. Johnson had taken out top seed Nik Scholtz of South Africa in the second round. At the $15,000 Futures in Pittsburgh, qualifier Jordi Arconada, who completed his eligibility last month at Texas A&M, is the sole American to reach the semifinals. Arconada defeated No. 2 seed Strong Kirchheimer(Northwestern) today 7-6(3), 5-7, 6-3, his third consecutive three-set win, to advance to his first Futures semifinal. He will face No. 3 seed Alejandro Gomez(Kentucky) of Colombia next. The other semifinal features Dartmouth rising junior Charlie Broom of Great Britain and Matteo Martinez of Argentina. The doubles title went to Junior Ore(Texas A&M) and Martinez, with the No. 1 seeds beating Gomez and Emilio Gomez(USC) of Ecuador 7-5, 6-2 in the final. That is Ore's third doubles title this year, all with different partners. Just one American remains in the draw at the $25,000 Futures in British Columbia, with top seed JC Aragone(Virginia) advancing to Saturday's semifinals after a 7-5, 6-7(3), 6-3 win over qualifier Ricardo Rodriguez-Pace of Venezuela. Aragone will play unseeded North Carolina rising sophomore Benjamin Sigouin of Canada. Wild card Alexis Galarneau, a rising junior at North Carolina State, will face No. 2 seed Steven Diez of Canada in the other semifinal. Three Americans have qualified for the main draw at Wimbledon, with Bradley Klahn returning to the AELTC for the first time since 2014 and Claire Liu and Christian Harrison making their professional debuts there. Klahn, the 2010 NCAA champion as a Stanford sophomore, didn't drop a set in advancing through three rounds of qualifying, beating Simone Bolelli of Italy 6-3, 6-4, 7-6(3) in the final best-of-five qualifying round today at Roehampton. Harrison defeated former UNC star Brayden Schnur of Canada 7-6(3), 7-5, 6-1 to earn his first main draw berth in a major since he qualified for the US Open in 2016. 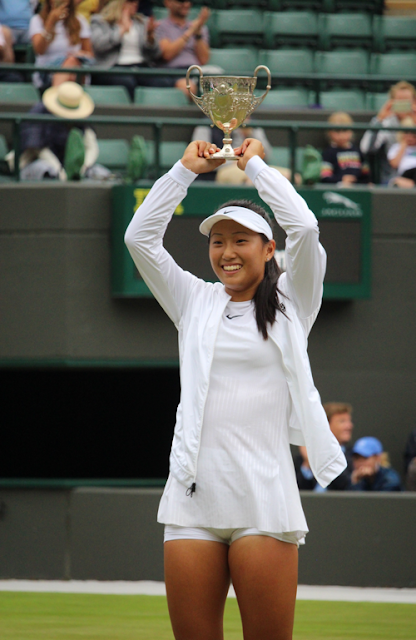 Liu, who won the ITF Grade 1 in Roehampton last year on the same courts where the qualifying is played, defeated Nicole Gibbs 6-4, 6-3 to advance to the SW19 courts where she won her Wimbledon girls title last year. For more on the 24-year-old Harrison's long road through years of illness and injury, see this article from Wimbledon.com. In addition to Klahn, two other former collegiate stars reached the main draw through qualifying: Tennessee's JP Smith of Australia beat Michael Mmoh 6-2, 6-4, 6-3, and Clemson's Yannick Maden of Germany came from two sets down to defeat Jurgen Melzer of Austria 5-7, 3-6, 7-6(6), 6-4, 6-3 in three hours and 26 minutes. In doubles qualifying, former Alabama stars Erin Routliffe of New Zealand and Alexa Guarachi of Chile advanced through qualifying to the main draw, as did Austin Krajicek (Texas A&M), with partner Jeevan Nedunchezhiyan(Washington) of India. Germany's Andres Begemann, the former Pepperdine star, also will be in the main draw after qualifying with Yasutaka Uchiyama of Japan. Routliffe is interviewed here about her decision to make the trip to England without knowing if she and Guarachi would even get into the doubles qualifying. The singles draws will be out tomorrow at 10 a.m. British time. Prior to the ITF Grade 1 in Roehampton's Sunday start, the US girls compete against a British team in the Maureen Connolly Trophy during the WTA event at Eastbourne. This year's USA team could accurately be described as the Dream Team, as it consists of Whitney Osuigwe, Coco Gauff, Caty McNally, Katie Volynets and Alexa Noel and, no surprise, they went 6-0 against Great Britain in the opening day of play. Holly Fischer is the best known of the British competitors; Emma Raducanu, who won a $15,000 ITF Women's Circuit event last month, is not on the British team, nor is Francesca Jones, who also has had success on the ITF Pro Circuit recently. An LTA press release on the event contains comments from Caty McNally and USA Team captain Jamea Jackson. Qualifying begins Friday for the ITF Grade 1 in Roehampton, with three American boys among the 32 players vying for a main draw spot: William Woodall, Govind Nanda and Keenan Mayo. There are no US girls are in qualifying, but 11 are expected to compete in the main draw. Eight US boys, including Australian Open champion Sebastian Korda, are scheduled to compete in the main draw. I'm currently in Indianapolis for the USTA Midwest Closed 16s and 18s championships, and I will have a report on the Thursday's singles finals for the Tennis Recruiting Network this weekend, but I'll be trying to follow tomorrow's final round of qualifying at Wimbledon, with seven Americans looking to earn their way into the main draw. After good weather this week, the men were off today, with Michael Mmoh, Bradley Klahn and Christian Harrison getting a day of rest while the women's second round was played. Four US women advanced to the final round of qualifying with wins today: Jamie Loeb, Nicole Gibbs, Claire Liu and Caroline Dolehide. Dolehide, who qualified for the French Open but has never played at Wimbledon as a pro, defeated Jessica Pieri of Italy 6-2, 6-3. Wild card Liu, who won the Wimbledon girls title last year, defeated Lizette Cabrera of Australia 6-4, 4-6, 6-1 to reach the final round. Loeb, who lost in the second round of qualifying last year, beat Priscilla Hon of Australia 6-4, 6-4 to move one step closer to her pro debut at Wimbledon, after reaching the quarterfinals as a junior back in 2013. Two-time NCAA champion Gibbs is the most experienced of the four US women remaining, having played in the main draw in 2015 and 2016, although she is still looking for her first Wimbledon singles win. Gibbs and Liu will meet to decide one of those precious main draw spots, and the two met in a thriller last year in the first round of the WTA tournament at Stanford, with Gibbs winning 4-6, 6-2, 7-6(5). Former UCLA star Jennifer Brady already in the main draw at Wimbledon, and she is warming up at an unusual 16-player ITF event in Southsea England. Brady, who was unseeded, beat Magda Linette of Poland 6-4, 6-3 today to advance to the semifinals of the $100,000 tournament, where she'll play British wild card Katie Boulter. While most of the grass court tennis is in Europe this time of year, the ITF Grade 4 International National Grass Court Championships are taking place in Philadelphia this week, a week later than usual. Both top seeds went out in today's second round, with qualifier Oren Vasser, a William and Mary recruit, beating Eliot Spizzirri 6-4, 7-5 and qualifier Muskan Mahajan defeating Charlotte Owensby 6-4, 3-6, 6-0. No. 2 seeds Kailey Evans and Romania's Sebastian Gima are still alive with the quarterfinals are scheduled for Thursday. Three American men advanced to the final round of qualifying today at Wimbledon, or more precisely at Roehampton, where the qualifying for next week's tournament is held. Bradley Klahn, who last played in the main draw of a slam at the 2014 US Open, will have an opportunity to play in the Wimbledon main draw for the first time since that year when he plays Simone Bolelli of Italy on Thursday. The 27-year-old Stanford graduate, who won the NCAA singles title in 2010, defeated Antoine Hoang of France 6-4, 6-1 in today's second round. Twenty-four-year-old Christian Harrison, who, like Klahn, has had his share of injuries in the past four years, has played in the main draw of a slam only once, when he qualified for the US Open in 2016, defeated Dennis Novikov 7-6(2), 4-6, 6-3 and will play former UNC star Brayden Schnur of Canada in Thursday's final round. Twenty-year-old Michael Mmoh's previous two appearances in a main draw of a major have come as a wild card: at the US Open after he won Kalamazoo in 2016, and at the Australian Open in 2017, after winning the USTA's Wild Card Challenge. After beating Mohamed Safwat of Egypt 7-6(3), 4-6, 6-0 to close out Tuesday's qualifying action, he will face former Tennessee star JP Smith of Australia on Thursday. The first round of women's qualifying saw six Americans advance, with 2017 Wimbledon girls champion Claire Liu advancing without the loss of a game when Amandine Hesse of France retired trailing 6-0, 2-0. Liu and 2015 Wimbledon girls champion Sofya Zhuk of Russia spoke to wimbledon.com about their transition to professional tennis after today's matches. I had not heard that Liu had officially ruled out attending college, but that seems to have been decided after she qualified for last year's US Open. Claire Liu[WC] def. Amandine Hesse(FRA) 6-0, 2-0 ret. The Southern California Sectional tournament finished on Monday, with No. 1 seeds winning all five girls divisions and three of the five boys divisions. I don't know what method of seeding they used, but that's an incredible level of success. UCLA recruit Taylor Johnson won the girls 18s singles title and Siem Woldeab won the boys singles and doubles titles in the 18s. For complete results, see the TennisLink site. There are no women's ITF or USTA Pro Circuit events in North America this week, but there are three for the men, two at the $25,000 level and one at the $15,000 level. At the $15,000 Futures in Pittsburgh, recent University of Michigan graduate Alexander Knight defeated top seed Emilio Gomez of Ecuador 6-3, 3-6, 7-5. Americans who qualified are Jordi Arconada(Texas A&M), Sean Sculley(Duke), Ryan Goetz(Virginia), Patrick Daciek(Virginia Tech) and Grey Hamilton(Ole Miss). Hamilton, a recent graduate, earned his first ATP point with a main draw win today. Gianni Ross(Virginia) and Andres Andrade(Florida) earned special exemptions into the main draw and Aidan Talcott (William&Mary), Luke Gamble(Princeton), Nathan Perrone and Axel Nefve(Notre Dame recruit) received wild cards. The other USTA Pro Circuit Futures is a $25,000 level tournament in Tulsa, with qualifying just finishing today due to weather. American qualifiers are Dusty Boyer(Nebraska), Logan Smith(USC), Trent Bryde (Georgia), Alex Brown(Illinois) and Felix Corwin(Minnesota). Wild cards were given to Zeke Clark(Illinois), Aleks Kovacevic(Illinois), Joshua Goodger(Tulsa) and Jenson Brooksby(TCU recruit). Brooksby plays Michael Redlicki, last week's champion at Wake Forest, in the first round. Ash Marshall of usta.com talked with Redlicki about his win last week, the recent changes in his personal life that have affected his motivation and the training that helped produce his recent results. Nik Scholtz of South Africa, the former Ole Miss star, is the top seed, with Marcos Giron seeded No. 2. The men's circuit in Canada has moved west to British Columbia for another $25,000 Futures. Americans Colin Markes(Texas), Nicolas Bybel(Bucknell) and Jake Douglas(Washington) were among the qualifiers. JC Aragone(Virginia) is the top seed. Wild cards went to Canadians Alex Galarneau(NC State), Justin Boulais, Raheel Manji(Indiana) and Calvin Thalheimer. Last week I had an opportunity to talk with Eudice Chong, who this year made NCAA tennis history by becoming the first player to win four NCAA singles titles. Chong, who graduated from Wesleyan last month, reached the semifinals of the $25,000 ITF Women's Circuit tournament in Hong Kong, where Chong grew up and now lives and trains. We spoke about her training and coaching situation, her summer schedule, why she chose Division III despite a desire to try pro tennis after graduation, among many other topics, for this Tennis Recruiting Network article. Chong will be receiving the Honda Division III Athlete of the Year award tonight in Los Angeles. The CBS Sports Network will be televising the event at 9 p.m. EDT. The first round of Wimbledon men's qualifying was completed today at Roehampton, with US men going 8-5. Probably the most impressive result was Stefan Kozlov's 6-3, 6-1 win over Dustin Brown of Germany, which took only 52 minutes. Brown's net-rushing game is well-suited to grass and he defeated Rafael Nadal at in the second round at Wimbledon in 2015. Michael Mmoh and Reilly Opelka were the winners of the two all-US matches today. 2017 boys champion Alejandro Davidovich Fokina of Spain won his opening match, beating British junior Aidan McHugh, a wild card, 6-2, 6-4. Dennis Novikov def. Calvin Hemery(FRA) 5-1, ret. The first round of women's singles qualifying matches are first up on Tuesday, with none of the nine Americans playing another American. I posted last night before I knew if the final of the $15,000 Futures in Rochester New York was going to be finished after a rain interruption, but it was, and Alex Rybakov finished off his second straight Futures title with a 6-1, 7-6(6) win over unseeded Markos Kalovelonis of Russia. Serving at 5-6 in the second set, Rybakov was down 0-40, but he saved all three sets points to get into the tiebreaker, which he won after falling behind 5-2. After winning the $25,000 Futures in Buffalo last week, the TCU rising senior should now break into the ATP Top 500 for the first time when the points are added next week. Michael Redlicki defeated top seed and defending champion Tommy Paul 6-3, 3-6, 6-1 to claim his first USTA Pro Circuit singles title today at the $25,000 Futures in Winston-Salem North Carolina. The 24-year-old left-hander, who finished his MBA at Arkansas at the end of last year, had reached the finals of last week's first $25,000 Futures at Wake Forest, falling in three sets to 2018 NCAA champion Petros Chrysochos of Cyprus. Redlicki's results the past two weeks will not only boost his current ATP and get him out of Futures qualifying, but will help him next year as well. From my understanding, only ATP points earned in $25,000 finals will convert to ATP points next year; all the other ATP points accumulated this year will become ITF Transition Tour points. 2017 NCAA champion Thai Kwiatkowski won his fourth career Futures title and the first at the $25,000 level with two victories today in Calgary. With rain forcing postponement of the semifinals until today, the 23-year-old Virginia graduate, seeded No. 3, beat top seed Steven Diez of Canada 7-6(2), 6-4 in the first match, then took out unseeded Paul Oosterbaan 6-4, 6-3 in the final. The 22-year-old Oosterbaan, who left the University of Georgia in the middle of his senior season, had not reached a Pro Circuit final before today. He defeated Texas A&M rising sophomore Juan Carlos Aguilar of Bolivia 7-5, 3-6, 7-5 in the earlier semifinal match. At the $25,000 Women's USTA Pro Circuit event in Baton Rouge, recent Vanderbilt graduate Astra Sharma of Australia picked up her first title at that level and fourth overall, beating Duke recruit and No. 5 seed Maria Mateas 6-2, 6-1. Sharma, the No. 7 seed and the NCAA team championship's Most Outstanding Player last month, lost only one set, back in the second round, in her march to the title. Gail Brodsky won her first Pro Circuit title since 2015 at the $15,000 ITF Women's Circuit event in Victoria British Columbia. The 27-year-old, who now lives in the Pacific Northwest, defeated qualifier Maegan Manasse, a recent Cal graduate, 3-6, 6-2, 6-3 in the final. TCU rising senior Alex Rybakov is a set away from his second consecutive Futures title, but rain has kept the final of the $15,000 tournament in Rochester from being completed. Rybakov leads unseeded Markos Kalovelonis of Russia 6-1, 3-2. Alex Rybakov defended his title at last week's $25,000 Futures in Buffalo and has now extended his winning streak to nine matches by reaching the final at the $15,000 Futures this week in Rochester New York. The 21-year-old rising senior at TCU, seeded No. 4, defeated Florida rising sophomore Andres Andrade, a wild card, 6-1, 6-4 in today's semifinal. Rybakov, 2-2 in Futures finals, will face unseeded Markos Kalovelonis of Russia in the final, after Kalovelonis defeated qualifier Gianni Ross 7-6(6), 7-5. Michael Redlicki will also be appearing in his second consecutive Futures final, with last week's runner-up advancing to the championship match in the second of two $25,000 Futures at Wake Forest with a 4-6, 6-3, 7-5 win over wild card Skander Mansouri of Tunisia. The 24-year-old Redlicki, who lost in the final to Mansouri's teammate Petros Chrysochos last week, will meet top seed Tommy Paul, making his return to competition this week after months off with an injury. Paul came back to defeat unseeded Henry Craig 6-7(3), 6-2 6-4 to earn a shot at defending the title he won in Winston-Salem last year. I didn't realize when I mentioned Wimbledon qualifying in a post a few days ago that Paul had withdrawn from that earlier this month, and will instead play the $25,000 Futures in Tulsa next week. 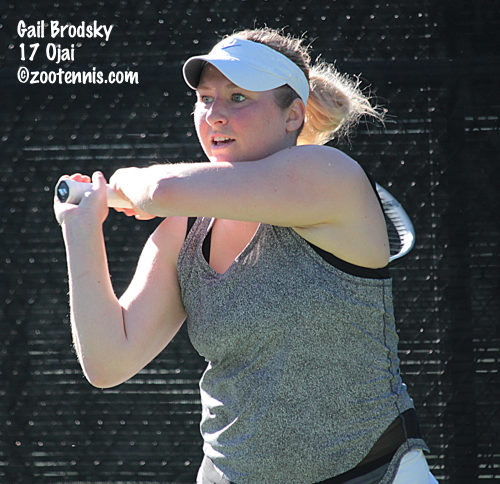 Another all-US final is scheduled for the $15,000 ITF Women's Pro Circuit event in Victoria British Columbia, with Gail Brodsky facing Maegan Manasse. Brodsky, a semifinalist last week in Sumter South Carolina, defeated No. 7 seed Alexa Graham 6-2, 4-6, 6-1 to reach her first Pro Circuit final since she won the Victoria event, then a $10,000 tournament, back in 2015. Manasse, who served as an undergraduate assistant coach at Cal this past season after completing her eligibility in 2017, will be playing in her first Pro Circuit singles final. At the $25,000 USTA Women's Pro Circuit tournament in Baton Rouge, 18-year-old Maria Mateas will face recent Vanderbilt graduate Astra Sharma of Australia in the final. No. 5 seed Mateas will be making her first appearance in a Pro Circuit final after defeating unseeded Ashley Lahey 3-6, 6-3, 6-4. Sharma, the No. 7 seed, beat No. 8 seed Nika Kukharchuk of Russia 6-3, 6-2 to reach her sixth Pro Circuit final. She has won three single titles, two of which came last year. Hayley Carter and Ena Shibahara won the doubles title in Baton Rouge, with the unseeded pair beating Sharma and her partner Gabriela Talaba of Romania 6-3, 6-4 in the final. Carter and Shibahara didn't drop a set all week, with Shibahara, a rising junior at UCLA earning her first Pro Circuit title. For Carter, who is returning to competition after a season as an assistant coach at Oklahoma State, the doubles title is her second, with the first coming back in 2014. In other doubles news, Stanford's Emily Arbuthnott won a $25,000 title in Sweden, Maria Sanchez(USC) and Asia Muhammad took the title at the $100,000 tournament in Ilkley and Austin Krajicek(Texas A&M) and Jeevan Nedunchezhiyan(Washington) of India were the men's doubles champions at the ATP Challenger in Ilkley. At the $25,000 Futures in Calgary, Thai Kwiatkowski(Virginia), Paul Oosterbaan(Georgia) and Bolivia's Juan Carlos Aguilar(Texas A&M) are through to the semifinals, as is top seed Steven Diez of Canada. Rain delayed the completion of the quarterfinals, so the semifinals and finals are on Sunday's schedule. Canadians Benjamin Sigouin(North Carolina) and Alex Galarneau(NC State) won the doubles title in Calgary, with the unseeded pair defeating No. 2 seeds Alexios Halebian and Canada's Samuel Monette(Indiana) 7-5, 7-6(4) in the final. The USTA's second annual All-American College Combine was completed Thursday, with 16-year-olds Marcus McDaniel and Sophia Edwards the overall winners, who will receive a main draw wild card to a $15,000 USTA Pro Circuit event. Several photos of the event are available here. All results are available at the UTR's tournament page. Wimbledon released another wild card statement today, but there are still several TBAs on it despite qualifying beginning on Monday. They did release four of the men's main draw wild cards to the next direct acceptances, which included Mackenzie McDonald, who will be making his Wimbledon main draw debut, and Alex DeMinaur of Australia, who had been given a wild card, but no longer needed it. That still leaves two men's main draw wild cards open, but Denis Kudla, who lost to Roger Federer today 7-6(1), 7-5 in the Halle semifinals, was not announced as a recipient. The pre-qualifying tournament that was to determine two of the qualifying wild cards for both men and women finished yesterday, with former Texas star Lloyd Glasspool and former Northwestern star Samantha Murray now in the qualifying fields. Freya Christie and Dan Evans also are in qualifying based on their performance in that event, with one women's qualifying wild card still to be announced. There is also one women's main draw wild card still to be determined. The up-to-date wild card list is available here. 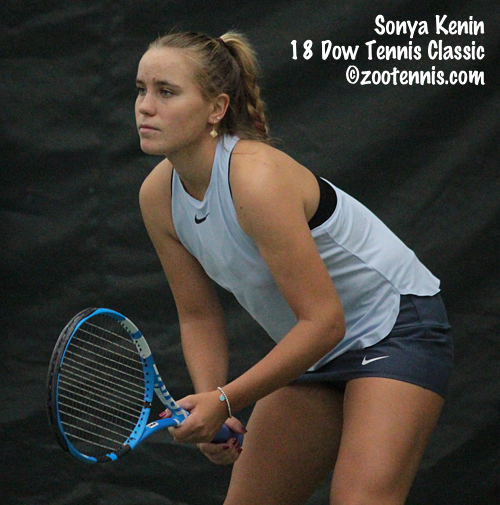 Nineteen-year-old Sonya Kenin's ranking trajectory has consistently tracked toward the Top 100, with the 2015 USTA Girls 18s National Champion's ranking going from 624 at the end of that year to 108 at the end of 2017. Today Kenin, a qualifier, earned her first Top 10 win at the WTA International event in Mallorca, reaching her first WTA semifinal with a 6-3, 6-3 win over top seed Caroline Garcia of France. Kenin, who plays Tatjana Maria of Germany in Saturday's semifinals, has been in the Top 100 since March and will reach a career-high ranking in the 70s, regardless of her result tomorrow. For more on Kenin's breakthrough week, see this article from the WTA website. While Kenin hasn't had much success on grass prior to this week, Denis Kudla, also a qualifier, has a reputation for excelling on the surface and today he reached the semifinals of the ATP 500 in Halle, beating Yuichi Sugita of Japan 6-2, 7-5. Kudla, who has yet to face a seed or lose a set, will play top seed Roger Federer in Saturday's semifinal. The 25-year-old from Virginia, who has reached one other ATP semifinal, is back in the Top 100 now, although still some results away from his career-high ATP ranking of 53 two years ago. With five Wimbledon main draw wild cards still yet to be distributed, Kudla's case is a strong one. Michael Mmoh hadn't won a professional level match on grass until this week at the €127,000 ATP Challenger in Ilkley England, but he now has three wins on the surface after the 20-year-old seventh-seed defeated No. 3 seed Thomas Fabbiano of Italy 6-1, 6-2. Mmoh will face No. 8 seed Sergiy Stakhovsky of Ukraine, who beat top seed Jordan Thompson of Australia today in the quarterfinals 6-4, 6-4. Mmoh should move inside the ATP Top 120 with his results this week. Mmoh's friend and junior rival Frances Tiafoe lost today in the quarterfinals of the Queens Club ATP 500 to France's Jeremy Chardy 6-4, 6-4. Elli Mandlik reached the final of the ITF Grade 1 last week in Offenbach Germany and she is through to the semifinals of the second Grade 1 in Germany this week as the No. 11 seed. Mandlik defeated No. 4 seed Taisya Pachkaleva of Russia 6-3, 6-1 in today's quarterfinals, with No. 10 seed Oksana Selekhmeteva of Russia next up on Saturday. Top seed Margaryta Bilokin of Ukraine, who trains at IMG and has committed to Duke, is through to the semifinals in the top half. 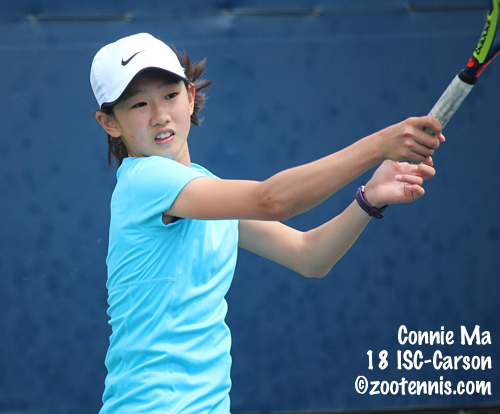 Fifteen-year-old qualifier Connie Ma's run came to an end at the $25,000 USTA Women's Pro Circuit event in Baton Rouge Louisiana, but it took over three hours for No. 8 seed Nika Kukharchuk of Russia to earn her 6-7(5), 6-3, 6-4 quarterfinal victory. 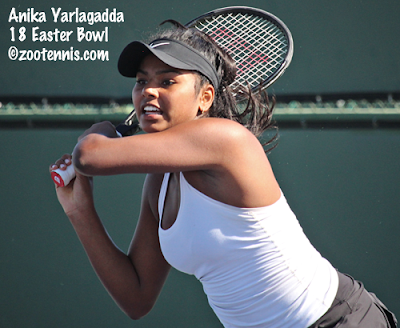 Kukharchuk will face recent Vanderbilt graduate Astra Sharma of Australia, who beat Julia Elbaba 6-3, 6-2. The other semifinal features unseeded Ashley Lahey of Pepperdine and Duke recruit Maria Mateas, the No. 5 seed. The main event at the $25,000 Futures in Winston-Salem figured to be this afternoon's match between 2018 NCAA champion Petros Chrysochos of Cyprus and Wake Forest teammate Skander Mansouri of Tunisia. Unfortunately Chrysochos's oral surgery disrupted that quarterfinal and he gave a walkover to Mansouri. 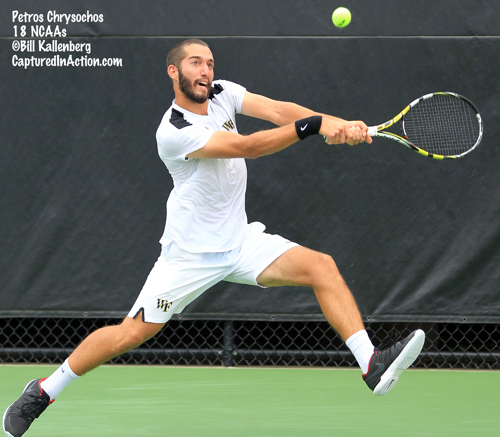 Although the walkover counts as neither a win or a loss on the two players' records, the streak of 36 straight wins is considered over for Chrysochos, who won last week's Futures at Wake Forest. Mansouri will play Michael Redlicki in the bottom half semifinal, with top seed Tommy Paul facing Henry Craig in the top half. JC Aragone(Virginia) and Harrison Adams(Texas A&M) won the doubles title, with the No. 3 seed beating Wake Forest's Ian Dempster and Christian Seraphim of Germany 7-5, 6-7(4), 10-3 in the final. At the $15,000 Futures in Rochester New York, No. 4 seed Alex Rybakov is the only seed to reach the semifinals. The rising TCU senior will play wild card Andres Andrade, the rising Florida sophomore, who beat wild card Ryan Goetz 6-3, 3-6, 6-3. Virginia rising sophomore Gianni Ross, a qualifier, advanced to the second Futures semifinal of his career with a 6-4, 6-4 win over Collin Johns to earn a meeting with unseeded Russian Markos Kalovelonis of Russia. Wild cards Cannon Kingsley and John McNally won the Rochester doubles title, beating No. 2 seeds Alejandro Gomez of Colombia and Pavel Krainik of Canada 6-4, 6-4 in tonight's final. It's the first Pro Circuit title for both the 17-year-old Kingsley, who has committed to Ohio State for 2019, and the 19-year-old McNally, a rising sophomore at Ohio State. The $25,000 men's Futures in Calgary was not able to complete its quarterfinals, I assume due to rain, but the women's $15,000 tournament in British Columbia couldn't have that problem as its the rare June tournament played indoors. The semifinals are set there, with just one seed remaining, No. 7 Alexa Graham, the North Carolina rising junior. Graham will play 27-year-old Gail Brodsky, who is back competing regularly on the Pro Circuit after having two children. The other semifinal features two former Pac-12 stars: Cal's Maegan Manasse, a qualifier, and UCLA's Pamela Montez. Until this year, the 27-year-old Montez hadn't played on the Pro Circuit since 2010 and the 23-year-old Manasse had, prior to this month, played only one Pro Circuit event since the summer of 2016. Brodsky and Brynn Boren (USC) won the doubles title, with the unseeded pair beating No. 2 seeds Safiya Carrington and Alana Smith 6-1, 6-2 in the final. This is the time of year that college players flood the ITF and USTA Pro Circuits, and this year the urgency in acquiring ATP and WTA points is greater than ever with the ITF's Transition Tour scheduled to begin next year. 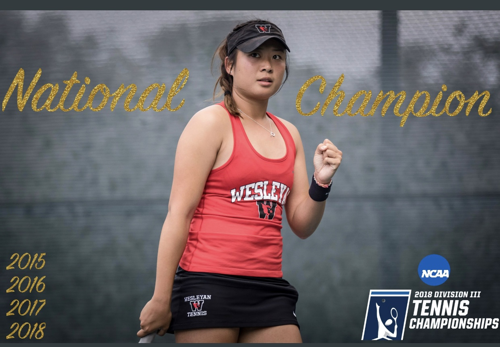 Four-time NCAA Division III champion Eudice Chong returned to Hong Kong this month after graduation from Wesleyan and received a wild card into the $25,000 ITF Women's Pro Circuit taking place there this week. The 22-year-old has beaten three Pro Circuit veterans, all ranked around 300, to advanced to the semifinals, where she'll face top seed Jia-Jing Lu of China, ranked 185. Chong is due back in the United States this weekend to receive the Honda Division III Athlete of the Year Award Monday night in Los Angeles. I spoke to Chong earlier this week about her junior pathway, her historic collegiate career and her professional aspirations, with our conversation scheduled to be posted on the Tennis Recruiting Network on Monday. The $25,000 USTA Women's Pro Circuit event in Baton Rouge has six current or former collegians in the quarterfinals, along with Duke recruit Maria Mateas and 15-year-old Connie Ma. Ma, a qualifier, defeated Salome Devidze of Georgia, also a qualifier, 6-4, 6-1 today to advance to the last eight. She will face a player more than twice her age, 31-year-old Russian Nika Kukharchuk (Ole Miss) after the No. 8 seed defeated 15-year-old qualifier and French Open girls champion Coco Gauff 7-5, 6-3. Julia Elbaba (Virginia) upset top seed Usue Arconada 6-3, 6-3 and will face Australian Astra Sharma (Vanderbilt), the No. 7 seed, in the quarterfinals. No. 5 seed Mateas, who beat Anastasia Nefedova in a three-hour and 29-minute battle today, will face Paige Hourigan (Georgia Tech) of New Zealand, and NCAA singles finalist Ashley Lahey will play Sanaz Marand(UNC). Lahey won the all-Pepperdine showdown with Luisa Stefani of Brazil, beating her teammate 4-6, 7-5, 6-1 in two hours and 45 minutes. Wake Forest's Petros Chrysochos won the contest between NCAA singles champions today at the $25,000 Futures in Winston-Salem, with the 2018 winner taking out 2014 champion Marco Giron(UCLA), the No. 5 seed, 5-7, 6-3, 6-2 to move into the quarterfinals . The 22-year-old from Cyprus, who captured last week's Wake Forest Futures, has now won 36 consecutive matches since an ATP Challenger loss in March. Chrysochos will face unseeded wild card Skander Mansouri of Tunisia, the third teammate he has played in the past two weeks. Except for top seed Tommy Paul, who is scheduled to play in Wimbledon qualifying next Monday (correction: Paul has withdrawn from Wimbledon qualifying), all the quarterfinalists have collegiate backgrounds. Florida recruit Sam Riffice, a qualifier, will play former Denver star Henry Craig, Paul faces former UCLA Bruin Karue Sell of Brazil and Michael Redlicki(Arkansas) plays Ronnie Schneider(North Carolina). Paul and Sell are the only two seeds remaining. In other college news, Oracle and the ITA have announced an extension of their agreement, with the ITA National Team Indoor Championships and the ITA Summer Circuit added to the list of events and items sponsored by the tech giant. The only mention of the duration of the agreement is its description as "multi-year." Oracle's co-CEO Mark Hurd played tennis at Baylor and has been a advocate for the collegiate game for many years now. For the complete release, see this article on the ITA website. Coming up next month is the fifth annual New Balance High School Championships, and this year, for the second year in a row, the tournament will be held at the Weil Academy in Ojai California. This year's dates are July 21st-24th. Any member of a high school tennis team during the 2017-18 school year may enter, although the draws are limited to 64 players, with UTR part of the selection process, along with geographic diversity. See the USTA's Tennis Link site for more information. Entries close on June 28th. Wimbledon announced many of its wild cards today, although many more are still available, especially in the men's singles. The release I received gave "later this week" as the time frame for the naming of the remaining wild cards. The LTA is holding a men's and a women's wild card tournament beginning tomorrow, with each of the two finalists awarded qualifying wild cards. The draws for those two events are available here. Most slams do not offer the previous year's junior champions qualifying wild cards, but Wimbledon usually does, and this year Alejandro Davidovich Fokina of Spain and Claire Liu of the United States have been invited to participate. The current wild card list, which includes main draw men's and women's doubles recipients, can be found here, although, many of those are also still to be determined. Americans who received direct entry into the main draw this year include nine men and 15 women. Cici Bellis was in the main draw, but has withdrawn due to a persistent injury. Complete main draw entry lists are here. With so many men's main draw wild cards remaining, Kudla, who has reached the quarterfinals this week at the ATP 500 in Halle Germany as a qualifier, has a good chance to be given one. Although Querrey and Tiafoe are already in the Wimbledon main draw, they have also shown good form on grass this week, with both reaching the Queens ATP 500 quarterfinals in London. Mmoh and Rubin are still in the €127,000 Challenger on grass in Ilkley, with the champion there also a possible Wimbledon wild card recipient. Qualifiers Kenin and Riske are still alive at the WTA International this week in Mallorca, with Kenin reaching the quarterfinals and Riske beating No. 2 seed Angelique Kerber of Germany in the first round today. Again, they both received direct entry into Wimbledon, so their results have no impact on that, just their form and ranking. 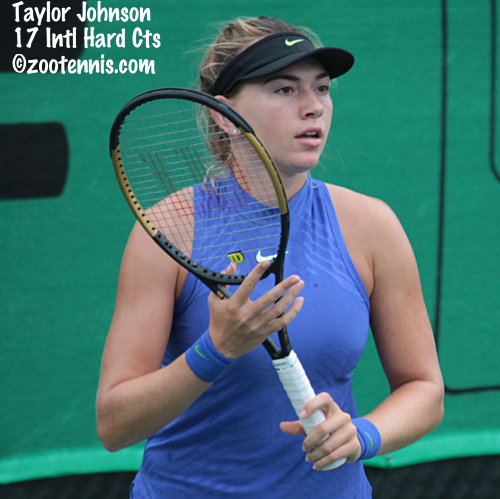 The ITF Junior Circuit's Grade 1 tournament this week in Germany is again on clay, with Elli Mandlik, last week's Grade 1 finalist, the only US girl to advance to the third round. Mandlik, the No. 11 seed, will face No. 5 seed Marta Custic of Spain in Thursday's third round. Unseeded Ronan Jachuck, who lost in the first round last week in Offenbach, is the only US boy to reach the third round. The Harvard recruit will play No. 7 seed Savriyan Danilov of Russia on Thursday. Alexa Noel opted to play in a $15,000 ITF Women's Pro Circuit event this week in Italy, using her junior exemption, and has reached the quarterfinals. The 15-year-old, who has played sparingly on the Pro Circuit and had won just one main draw match before this week, will face top seed Angelica Moratelli of Italy next. Qualifying for the $25,000 USTA Women's Pro Circuit event in Baton Rouge Louisiana was completed today, with 14-year-old Coco Gauff and 15-year-old Connie Ma among the eight to earn their way into the main draw. Gauff, who is back in the US after winning the French Open girls title earlier this month before heading to Roehampton and Wimbledon, had already qualified and won a round at a $25,000 tournament last month in Florida, but Ma will be making her Pro Circuit debut. 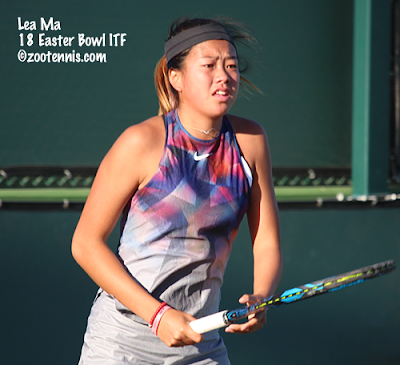 Ma, who finished third at the USTA 16s Nationals in San Diego last year, played her first Pro Circuit qualifying match last week, losing to former WTA Top 35 player Olga Govortsova of Belarus in the first round. This week, the Tennis Recruiting Network's top player in the class of 2021 defeated three accomplished college players: Mary Closs of Notre Dame, LSU's Jessica Golovin, the 2018 NCAA doubles champion, and today, Texas Tech All-American Gabriela Talaba of Romania. Ma will play No. 4 seed Emiliana Arango of Colombia on Wednesday, with Gauff facing qualifier Hayley Carter, who is returning to professional tennis after spending last year as the assistant coach for the women's program at Oklahoma State. Carter, a seven-time All-American at North Carolina explained her decision to pursue a pro career earlier this month at the Tennis Recruiting Network. Sixteen-year-old Hailey Baptiste, Duke rising sophomore Kelly Chen and Allie Will, the former Florida star, are the other Americans advancing to the main draw. Usue Arconada, who was hoping to play for LSU this past season, but ran into eligibility issues, is the top seed. Wild cards were given to 15-year-old Alexandra Yepifanova, LSU's Ryann Foster, UCLA's Ena Shibahara and 17-year-old Hurricane Tyra Black. Black defeated Shibahara 2-6, 6-1, 6-2 in first round action today. In addition to the Baton Rouge event, many Americans have also made their way to Victoria British Columbia for the $15,000 ITF Women's Circuit tournament there. Fifteen-year-old Tara Malik, 16-year-old Anna Zhang and 17-year-old Haley Giavara are among the qualifiers. Amanda Rodgers is the top seed, with three wild cards going to young Canadians and the other to University of Oregon rising sophomore Paiton Wagner of Washington. The men's USTA Pro Circuit is at Wake Forest again this week, for a second straight $25,000 Futures event. NCAA champion Petros Chrysochos of Cyprus, who won last week's Futures tournament on his home courts, is not seeded, but remains a favorite to win the tournament. He defeated teammate Christian Seraphim of Germany, a wild card, 3-6, 6-3, 6-3 to extend his winning streak to 35 matches. Top seed Tommy Paul, making his first appearance in a sanctioned event since late January, also advanced to the second round, defeating qualifier Oliver Crawford (Florida) 6-2, 6-4. Like Seraphim, the other three wild cards are all members of the Wake Forest team: Eduardo Nava, Skander Mansouri of Tunisia and Rrezart Cungu of Montenegro. The second USTA Pro Circuit tournament this week is a $15,000 Futures in Rochester New York. Several qualifying matches were delayed until today, with Ohio State recruit Cannon Kingsley, Princeton recruit Karl Poling, LSU's Shane Monroe joining Ohio State's John McNally, Virginia's Gianni Ross and Texas A&M's Jordi Arconada as American qualifiers. Top seed Mattias Descotte of Argentina, who lost in the first round last week as the No. 1 seed, has suffered another early loss this week, with Isaiah Strode earning a 7-6(3), 6-4 decision in action today. John Speicher(Dartmouth), Andres Andrade(Florida), Ryan Goetz(Virginia) and Alex Knight(Michigan) were awarded wild cards. 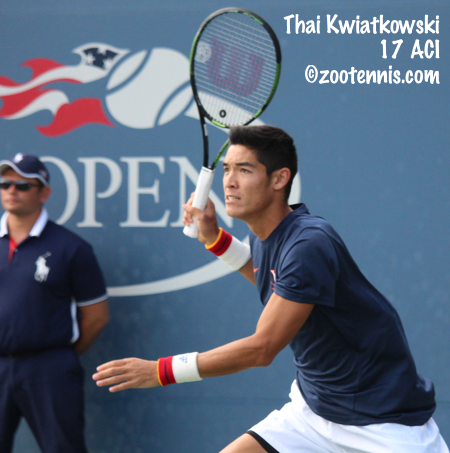 The men also have a $25,000 tournament in Calgary Alberta, with 15 Americans in the main draw, including 2017 NCAA champion Thai Kwiatkowski(Virginia). Canadians Steven Diez and Samuel Monette(Indiana) are the top two seeds. Diez is one of the wild cards; the other three are also Canadians: 16-year-old Taha Baadi, and Calgary residents Harrison Scott(Texas) and Joshua Peck(North Carolina). Bobby Knight tweeted out a link to this article about recent TCU graduate Guillermo Nunez of Chile. Nunez, who was a Top 10 junior in the ITF rankings, decided not to pursue pro tennis and, now employed on Wall Street, he explains why he took the college route, while his contemporary Christian Garin went straight to the Pro Circuit and is currently 173 in the ATP rankings. The article is in Spanish, but it sounds as if his decision to begin his career is based on visa requirements as well as an assessment of the likelihood of making a living in the lower levels of tennis. Nunez is going to continue his involvement with tennis however, with some part-time work at the John McEnroe Tennis Academy. The USTA announced today that its annual US Open Wild Card Challenge will begin on July 9th, with the women's events including WTA tournaments for the first time. The men have been using points accumulated in ATP events for some time in these Wild Card Challenges, but the women have always been restricted to the USTA Pro Circuit events designated. This year the five weeks of tournaments for women will include not only Lexington, which had previously been part of the US Open Wild Card Challenge, but four additional $60,000 events in Honolulu Hawaii, Berkeley California, Ashland Kentucky and Landisville Pennsylvania. Points earned in both qualifying and main draw at the WTA tournaments in San Jose and Washington DC will also count toward the best two results in this five-week span. The men have 16 events in those five weeks that can provide points, with the American with the best three results in those ATP Tour and Challenger tournaments receiving a US Open main draw wild card. WHITE PLAINS, N.Y., June 18, 2018 – The USTA today announced that the US Open Wild Card Challenge, which utilizes hard-court pro tournaments to award an American man and woman a main draw wild card into the US Open, will kick off the week of July 9 and conclude the week of Aug. 6. The men’s wild card will go to the American with the highest cumulative total of ATP singles ranking points earned from their best three results during that five-week window, including results from any professional hard-court event at the ATP Challenger level and above around the world. The women’s wild card will be awarded to the American with the highest cumulative total of WTA singles ranking points earned from their best two results during those five weeks, at select $60,000 outdoor USTA Pro Circuit hard-court events (main draw only) – including four new $60,000 tournaments, in Honolulu, Berkeley, Calif., Ashland, Ky., and Landisville, Pa. – as well as qualifying and main draw results from the WTA tournaments in San Jose, Calif., and Washington, D.C.
Only Americans who do not earn direct entry into the US Open are eligible. In the event of a tie, the player with the best ATP or best WTA singles ranking on Aug. 13 will be awarded the wild card. All USTA Pro Circuit tournaments will be streamed live on www.procircuit.usta.com. This is the seventh consecutive year the USTA has used a wild card challenge format to award US Open wild cards for American players. The USTA first used this US Open wild card format for its 2012 wild cards. The USTA also utilizes this wild card challenge format for the French Open and Australian Open. The 2018 US Open main draw will be held Monday, Aug. 27, through Sunday, Sept. 9. 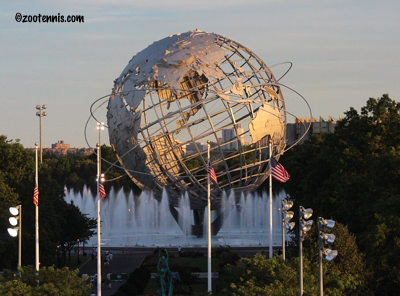 Information on the US Open Wild Card Challenge will be available at www.procircuit.usta.com. Follow the USTA Pro Circuit #USTAProCircuit. The Intercollegiate Tennis Association released its 2018 National Collegiate All-Star Team today. The Division I Team is below. For the members from Division II, Division III, NAIA and Junior Colleges, see the release on the ITA website. singles finals results are below, with more on the tournament available at the USTA Texas website. Lea Ma won her first ITF Grade 1 singles title today in Offenbach Germany, defeating Elli Mandlik 6-4, 7-5 in the all-American girls final. The 17-year-old Ma, who was the No. 2 seed, had reached the final of two Grade 1 tournaments earlier this year, while Mandlik, also 17, was playing in her first Grade 1 final. The boys title went to No. 6 seed Jiri Lehecka of the Czech Republic, who defeated unseeded Giulio Zeppieri of Italy 6-3, 7-5. Ma, whose previous career high in the ITF junior rankings was 37, should move into the Top 25 with her title today. At the ITF Grade 5 in Thailand, 15-year-old Karl Lee picked up his first ITF Junior Circuit title. The Sacramento resident, seeded No. 15, defeated four higher seeds to claim the title, beating No. 5 seed Iiro Vasa of Finland 6-3, 6-3 in the final. At the ITF Grade 4 in Guatemala, Spencer Brachman and Max McKennon won the boys doubles title, with the unseeded pair beating No. 2 seeds Guillermo Castaneda and Patricio Nieto of Mexico 6-2, 7-6(2) in the final. McKennon, who was unseeded in singles, lost in the final to unseeded Rafael De Alva Valdez of Mexico 6-2, 6-4. Two of the three USTA Pro Circuit events had disappointing endings, with Taylor Townsend claiming the $25,000 women's event in Sumter South Carolina without winning a point. The top seed got a retirement from No. 2 seed Alize Lim before any points were played to earn her third Pro Circuit singles title this year. At 75 in the WTA rankings, Townsend may have played her last $25,000-level tournament for a while. The Sumter Item has been covering the event this week; whether they will have a story about the final is unclear, but this article provides more on Saturday's doubles title, won by collegians Astra Sharma and Luisa Stefani. TCU rising senior Alex Rybakov, the No. 5 seed, won his second career Futures title today at the $25,000 tournament in Buffalo New York, with No. 4 seed Deiton Baughman retiring down 7-6(5), 3-1. The 21-year-old left-hander was playing his first Futures event since early in January, when he made two quarterfinals in the California Futures. A dramatic finish did play out at the $25,000 Futures at Wake Forest, with NCAA champion Petros Chrysochos of Cyprus coming from 4-1 down in the third set to defeat qualifier Michael Redlicki 6-2, 1-6, 6-4. Rising Wake Forest senior Chrysochos was down two breaks before his surge in the third set, which kept his winning streak intact. In my post last night, I said Chrysochos hadn't lost since January, and that's true in a collegiate context, but he did have a quarterfinal ATP Challenger loss back in March. But since then, he also has recorded three Davis Cup wins, so his winning streak, at all levels, now stands at 34, according to the Wake Forest sports information staff. Chrysochos is also entered in the second Wake Forest $25,000 Futures this coming week, which is expected to see the comeback of Tommy Paul, who hasn't played since the end of January. Two 17-year-old Americans will meet Sunday for the ITF Grade 1 title in Offenbach Germany, with the winner of the championship match between No. 10 seed Elli Mandlik and No. 2 seed Lea Ma collecting her first Grade 1 title. Mandlik, the daughter of four-time slam champion Hana Mandlikova, advanced to her first Grade 1 final when German wild card Mara Guth retired trailing 7-6(4). 3-2. Ma, who lost the two previous Grade 1 finals she played back in January, defeated No. 11 seed Oksana Selekhmeteva of Russia 6-4, 7-6(1). The boys final will feature unseeded Giulio Zeppieri of Italy against No. 6 seed Jiri Lehecka of the Czech Republic. Zeppieri took out top seed Facundo Diaz Acosta of Argentina 6-4, 6-4 in today's semifinal, with Lehecka beating unseeded Fabrizio Andaloro of Italy 6-3, 6-2. Ma and partner Chloe Beck, the top seeds, fell in the girls doubles final 6-3, 6-3, to No. 3 seeds Sohyun Park of Korea and Hong Yi Cody Wong of Hong Kong. The top seeds in the boys doubles also lost with Filip Jianu of Romania and Tao Mu of China falling to No. 7 seed Rinky Hijikata of Australia and Yannik Steinegger of Switzerland 6-3, 2-6, 10-7. The $25,000 Futures in Buffalo New York will have an all-American final, with No. 5 seed Alex Rybakov facing No. 4 seed Deiton Baughman. Rybakov, a rising TCU senior, defeated unseeded Lucas Gomez of Mexico 6-3, 6-2 and Baughman downed unseeded Markos Kalovelonis of Russia 6-1, 6-3. Rybakov will be playing for his second career Futures singles title, while Baughman hopes to secure his fourth, although he has not won a singles title since 2015. They have played twice in Futures qualifying, splitting those decisions, but those matches were three and five years ago. Gomez and Alejandro Gomez of Colombia won the doubles title today, with the No. 2 seeds beating No. 1 seeds Matias Descotte and Eduardo Torre of Argentina 6-3, 6-4 in the final. NCAA singles champion Petros Chrysochos of Cyprus has advanced to the final of the $25,000 Futures tournament on his home courts at Wake Forest, ending the 18-match Futures winning streak of former Virginia star Alexander Ritschard with a 4-6, 7-6(5), 6-2 victory in today's semifinals. Since Chrysochos, a rising senior, lost to Vanderbilt's Cameron Klinger back in January, the 22-year-old has won 30 consecutive college matches, including the six in the NCAA singles tournament, and now four this week in the Futures. He will play qualifier Michael Redlicki, who advanced to his second career Futures final with a 6-4, 7-5 win over No. 5 seed Karue Sell. Chrysochos defeated Redlicki's younger brother Martin in the semifinals of the NCAA singles tournament last month. The top two seeds will face off in the final of the $25,000 Women's Pro Circuit tournament in Sumter South Carolina, with No. 1 Taylor Townsend playing No. 2 Alize Lim of France. Townsend defeated qualifier Gail Brodsky 6-2, 7-6(4) and Lim ended the run of Pepperdine's unseeded Ashley Lahey 6-4, 5-7, 6-3, in another three-hour match for the NCAA finalist. Vanderbilt's Astra Sharma of Australia and Pepperdine's Luisa Stefani of Brazil won the doubles title today, with the No. 3 seeds defeating No. 4 seeds Julia Elbaba and Shilin Xu of China 2-6, 6-3, 10-5. Elli Mandlik and Lea Ma picked up victories today to reach the semifinals of the ITF Grade 1 tournament in Offenbach Germany. Mandlik, the No. 10 seed, defeated No. 4 seed Gergana Topalova of Bulgaria 6-2, 7-6(4) and will face German wild card Mara Guth for a place in the final. Ma, the No. 2 seed, defeated unseeded Andjela Skrobonja of Serbia 7-5, 6-2 and play No. 11 seed Oksana Selekhmeteva of Russia. Ma and her partner Chloe Beck, the top seeds, have reached the doubles final, beating No. 7 seeds Margaryta Bilokin of Ukraine and Nikki Redelijk 6-3, 7-5 in today's semifinals. They will play No. 3 seeds Sohyun Park of Korea and Hong Yi Cody Wong of Hong Kong in the championship match. 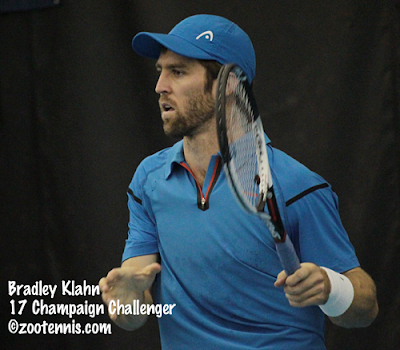 The semifinals are set at the three $25,000 USTA Pro Circuit events this week, with seven Americans still in the running for the titles. 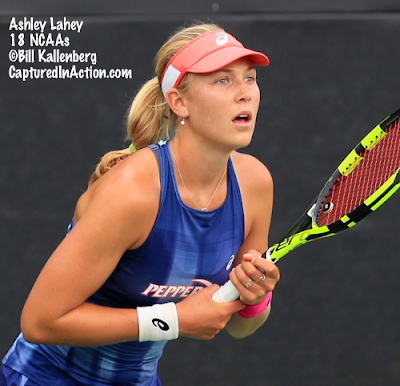 At the women's tournament in Sumter South Carolina, three Americans have advanced to the final four, with top seed Taylor Townsend facing qualifier Gail Brodsky and Pepperdine's Ashley Lahey, the 2018 NCAA finalist, playing No. 2 seed Alize Lim of France. Lahey needed three hours and 11 minutes to defeat No. 7 seed Marcela Zacarias of Mexico 7-5, 5-7, 6-3 in today's quarterfinals. Brodsky beat qualifier Hailey Baptiste 6-2, 6-4 and Townsend got past No. 6 seed Maria Mateas 7-5, 6-3. Lim prevented an all-USA semifinal lineup by defeating Robin Anderson 7-6(4), 4-6, 6-2 in three hours and 41 minutes. At the men's Futures in Buffalo New York, No. 5 seed Alex Rybakov, the rising TCU senior, advanced to the semifinals with another marathon result from today's action. Rybakov defeated unseeded Mateo Martinez of Argentina 6-7(4), 7-6(3), 6-3 in three hours and 46 minutes. He will play unseeded Lucas Gomez of Mexico, who advanced in a mere three hours and three minutes over No. 6 seed Pavel Krainik of Canada. Deiton Baughman, the No. 4 seed, is the other American man in the semifinals. He defeated No. 7 seed Alejandro Gomez of Colombia 6-4, 7-5 to set up a meeting with unseeded Markos Kalovelonis of Russia. At the men's Futures at Wake Forest, Alexander Ritschard continued his men's Pro Circuit winning streak, picking up No. 18 with a 6-2, 6-3 victory over qualifier Ryan Peniston of Great Britain. Ritschard's opponent Saturday will be Wake Forest's 2018 NCAA champion Petros Chrysochos of Cyprus, who defeated teammate Yuval Solomon 6-2, 6-1. Qualifier Michael Redlicki will face Karue Sell in the semifinal in the bottom half. Redlicki advanced with a 7-6(1), 6-2 win over unseeded Marc-Andrea Huesler of Switzerland and No. 5 seed Sell of Brazil, ended the run of Brian Shi 3-6, 6-3, 6-4. Huesler won the doubles title, with Sem Verbeek of the Netherlands. The top-seeded pair beat No. 4 seeds Trevor Johnson and Ronnie Schneider 7-6(7), 6-1 in today's final. The Bobby Curtis State Closed in Florida ended this week, with the results below. 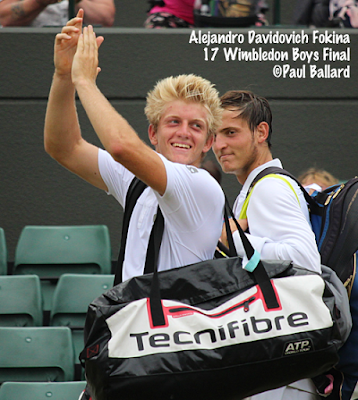 Girls 18s winner Alexis Blokhina, at age 13, became the youngest champion in that tournament's 70 year history. For quotes from the winners and photos of the finalists, see this article from USTA Florida.